0.25 Litre (250 ml, 0.05 Gallon) White external and Plain internal Lever Lid Tin complete with lids, sold inboxed quantities of 40. 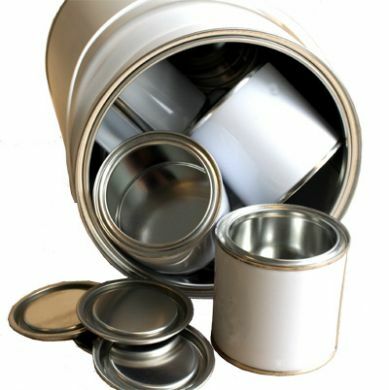 Lever Lid Tins are also available in pallet quantity. Please contact us for details of pallets delivery cost.